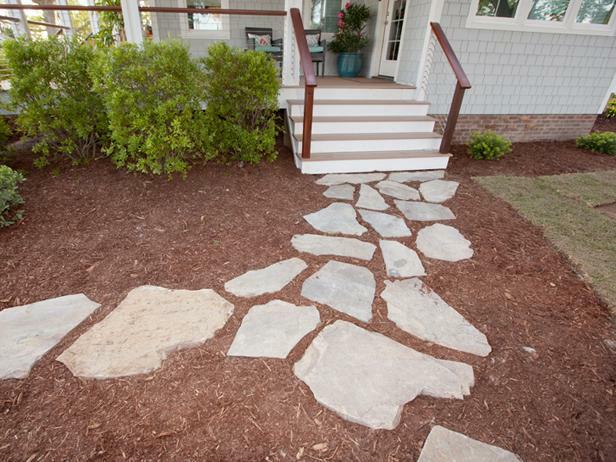 Adding a winding path between a home and an outdoor feature is a great way to get from point A to B while improving the yard's aesthetic appeal. 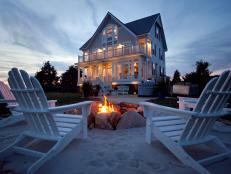 Picking the perfect stone can accent the home's exterior colors and provide a pop among plantings. 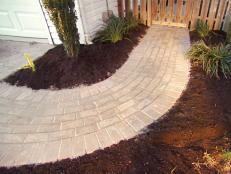 With proper planning and DIY skills, a winding path can be added in a weekend for minimal cost. Add visual appeal by running a path past areas of interest on its way from an exterior door to the destination. 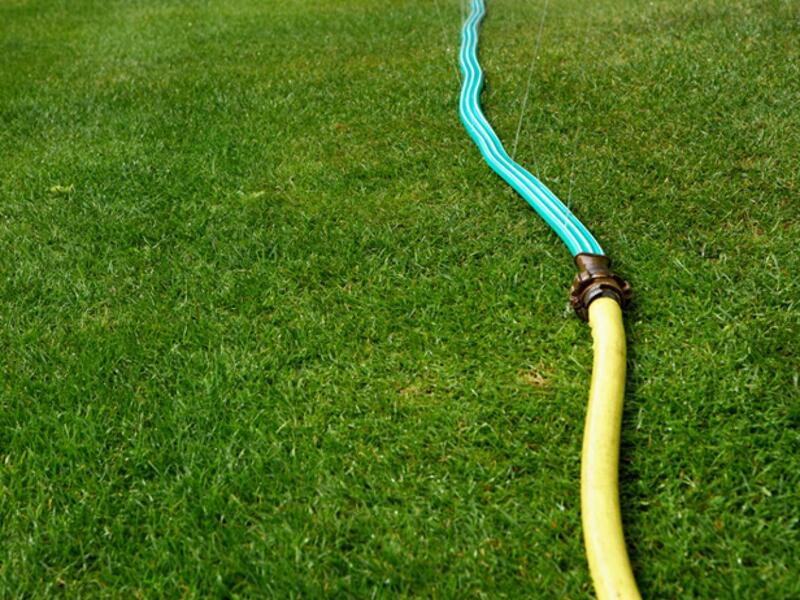 To create the path outline, first place a garden hose on the ground and play with the shape (Note: Perfectly straight, good-looking lines are harder to create than curves.) Once the final layout is determined, mark the grass on one side with marking paint. 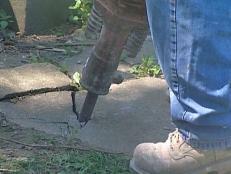 Then transfer the hose to the other side and mark it. In general, a comfortable path is at least 2'6" to 3' wide. 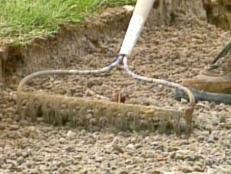 Using a spear-bladed shovel and digging 3 to 4 inches down, cut edges of path along both marked sides. Slowly work the shovel under the grass layer. Proper technique should result in grass layers lifting up like mats of sod. 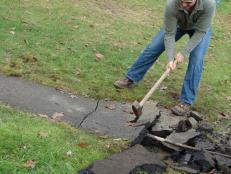 Use a garden or trenching spade to cut through stubborn areas entangled with tree roots, rocks or other buried debris. Although you are digging a shallow path, be cautious and on the lookout for underground utilities. 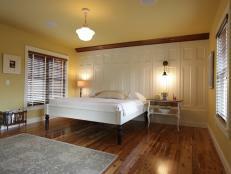 If any are encountered, immediately stop work and contact a licensed professional. 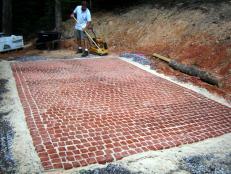 The first step is to spray out your design and dig a trench along the lines, 1 or 2 inches down. 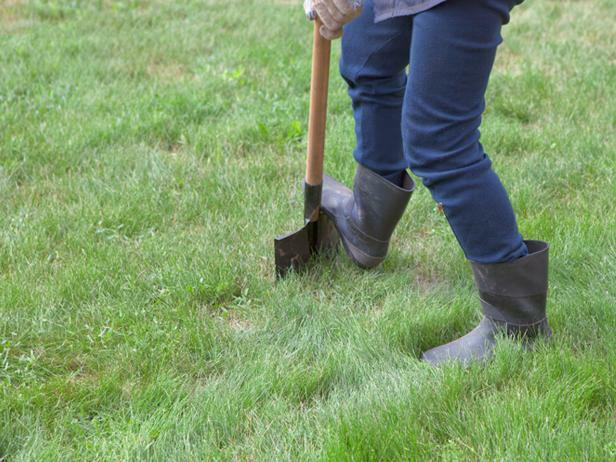 Then, line up the metal edging in the trench and, while a friend holds it in place, drive metal stakes through each slot until they sit flush with the edging. 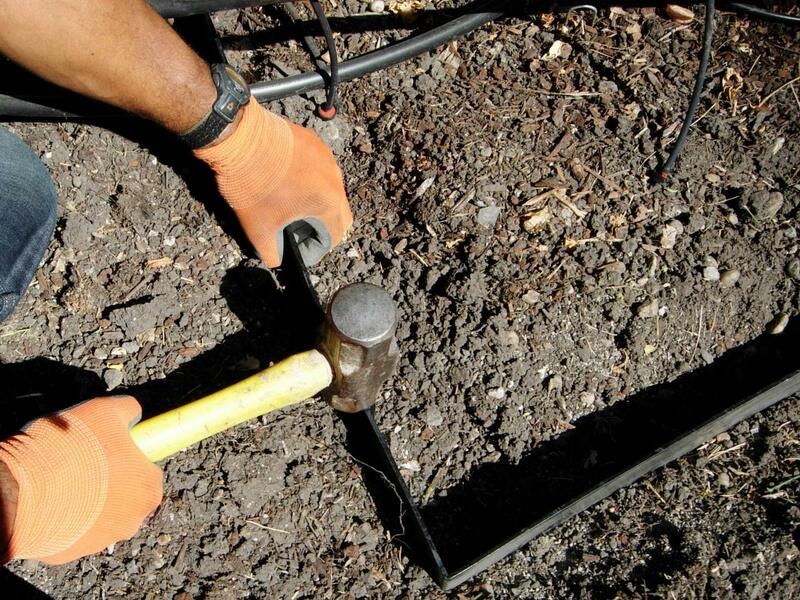 Holding a block of wood over the stake and pounding on that will help you avoid scratching the paint off the stake. 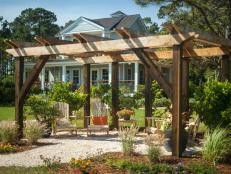 It may be impossible to remove all grass roots and seeds from the underlying soil. 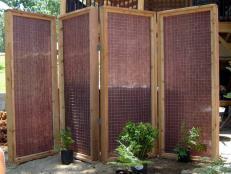 Installing weed-control fabric will help to slow down any invaders in the new path. 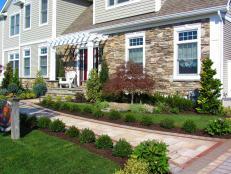 Additionally, landscape edging will help form a physical barrier against the surrounding grass and provide an easy border to mechanically edge against. 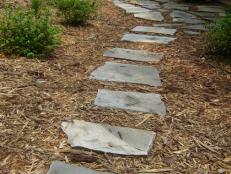 Depending on the width and length of the path, it may be possible to buy stone in bags from a local landscape supply store. 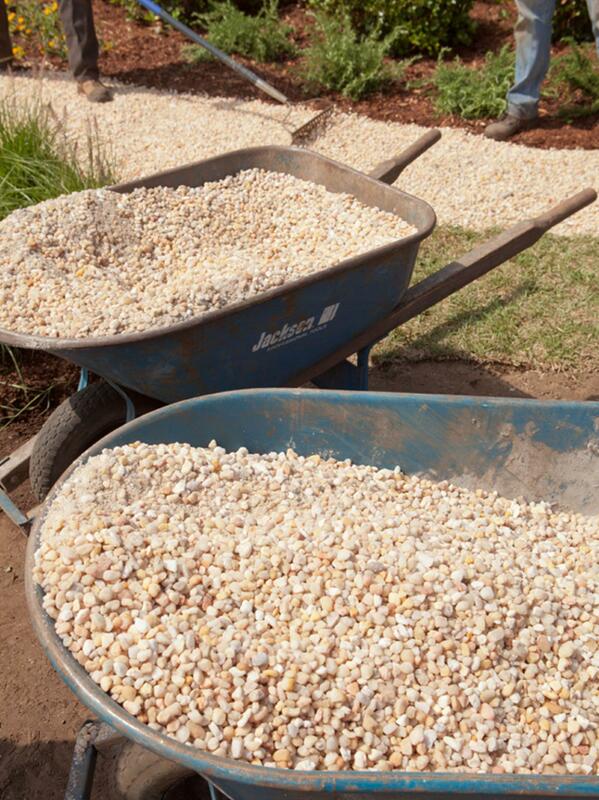 If more than 15 square feet (about 10 bags) of material is required, it may be more economical to have the stone delivered in bulk. 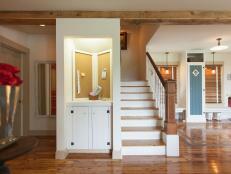 When arranging a delivery, select a spot close to the path where the truck can unload. Distribute stone along the pathway in small piles. 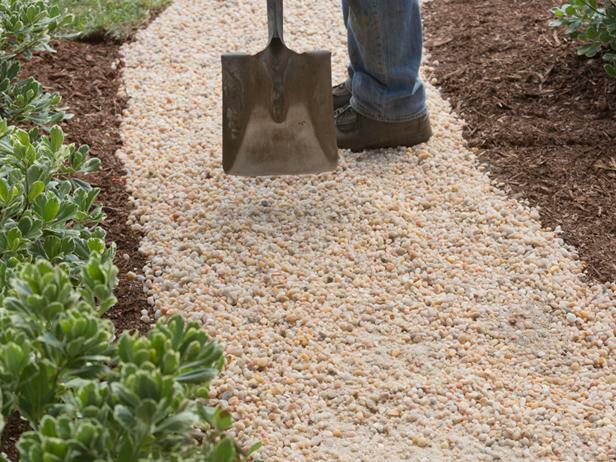 Transfer enough stone from the delivery site to the path so that when piles are leveled, the stone surface measures about 1" higher than the surrounding grass/soil. 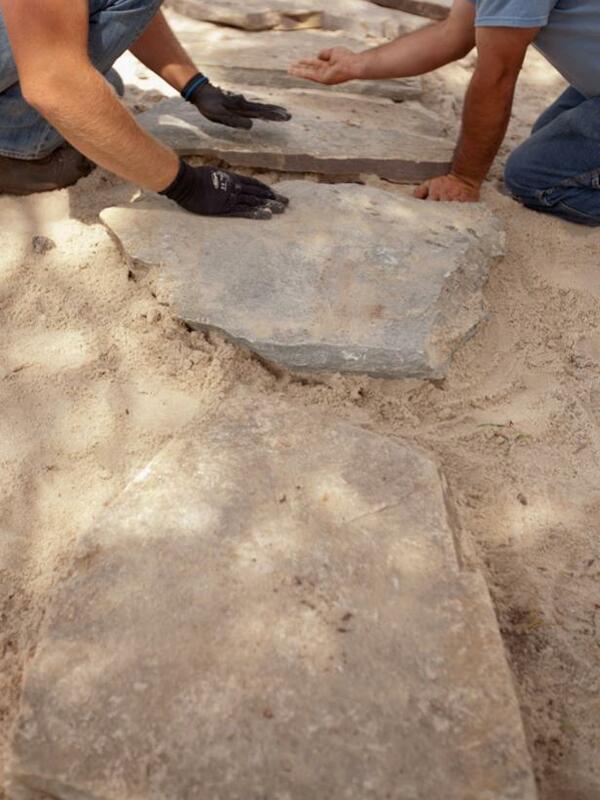 Using a garden rake, flatten and level out the stone. 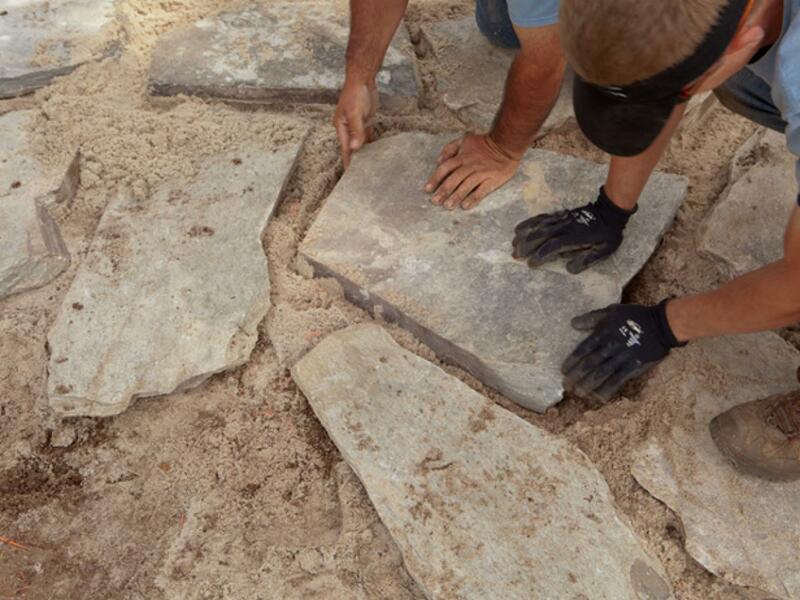 Be sure to work the stones enough to settle them properly into place. 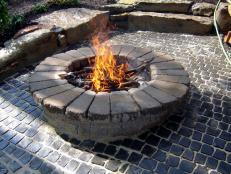 In place of loose stone, pavers or flagstones can be used. Start by creating a 1" flat and level layer of sand over weed control fabric. 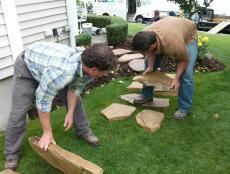 Then roughly lay out the top layer of stones. If using odd shapes such as flagstone, arrange them so that they fit together. Try different pieces and rotate each one as needed. Use a mason's hammer (and safety glasses!) to resize some pieces as needed for a perfect fit. For irregular shapes, leave a 1 to 3" gap between pieces. Once pattern is laid out, slowly work each stone by rotating it slightly back and forth with downward pressure. 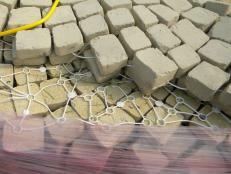 This process will help stones settle into the leveling sand. 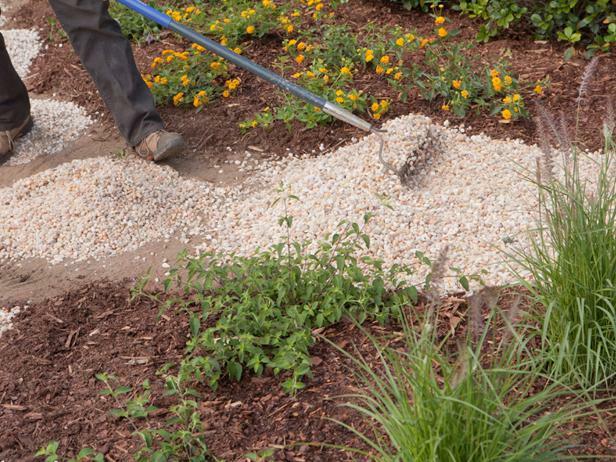 If one stone settles, pull it up, add some additional sand underneath and replace. 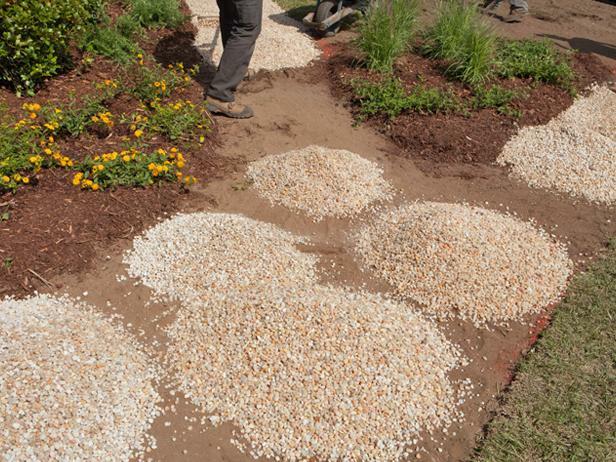 Finally, the gaps between the stones can be filled with sand, mulch or pea gravel. Pick your fill based on the look you want to achieve and the colors that accent your landscape. 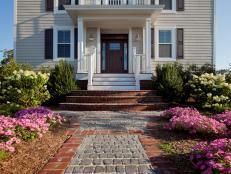 Combine masonry skills with state-of-the-art building materials to build a welcoming front entry walkway.